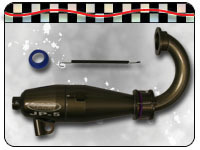 Jammin Products releasing the new "Worlds Pipe" designed to meet the criteria of the EFRA and IFMAR specification for racing on the world stage or at your local track. 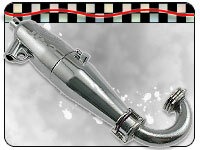 The pipe includes the 3 chamber design with a longer smoother power band than the JP-3. The power band is concentrated on the mid to top end range. The fuel mileage reports have been slightly improved as well. 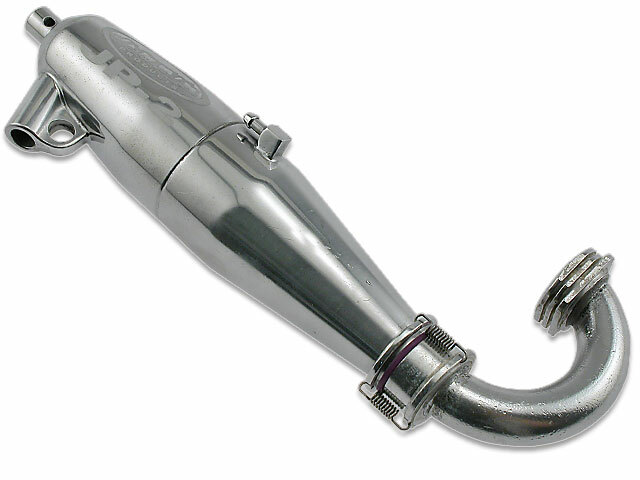 Made of thick aluminum which is then polished, the pipe features include Jammin signature CNC outlet, smooth flow manifold, and flexible pipe mount. 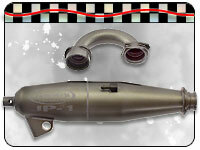 Pipe includes 2 coupler grommets, springs, and setscrew. 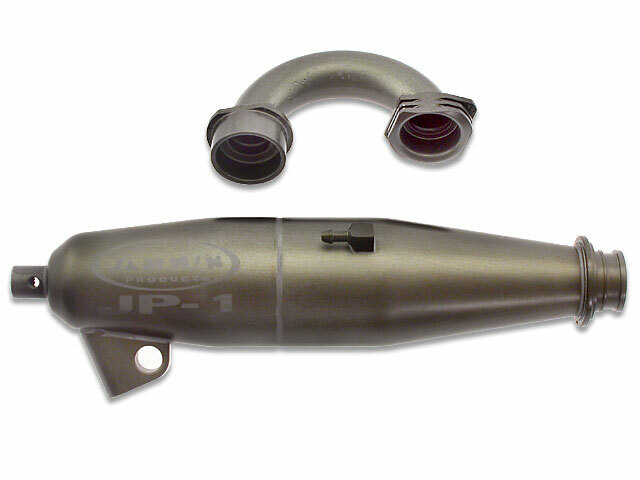 After many months of testing, Jammin has released the JP-3 inline Hard Coated pipe to the world. 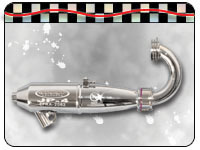 This new pipe is a 3-chamber design with all around performance, very similar to both JP-1 & JP-2 combined. 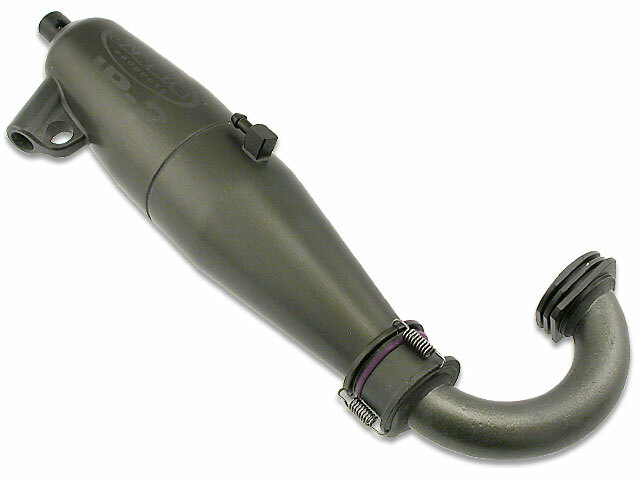 Made of thick aluminum which is then Hard Coated, the pipe features include Jammin signature CNC outlet, smooth flow manifold, and flexible pipe mount. 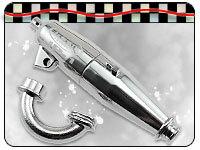 Pipe includes 2 coupler grommets, springs, and setscrew. 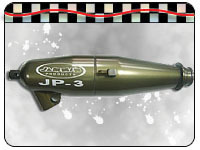 With the addition of JP-3 inline pipe to the JP-1 & JP-2 product line, the current market leader is now better! 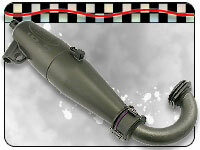 The new JP-1 Jammin Pipe designed specifically for 1/8th off-road racing incorporates the new "Billet Stinger". 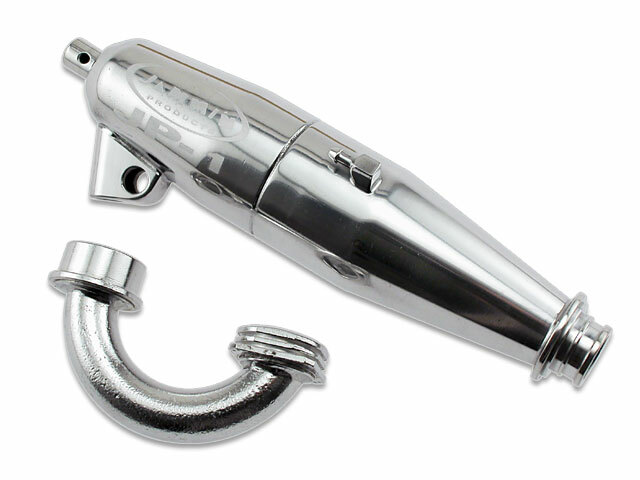 Never smash the stinger end again. 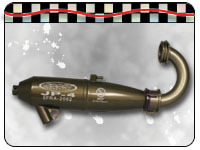 Other features include the smooth sweep in the header for uninterrupted scavenging producing a more responsive power delivery. 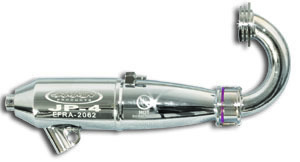 The pipes shape gives excellent bottom-end snap and mid-range. Pipe includes 2 coupler grommets, springs, and setscrew. 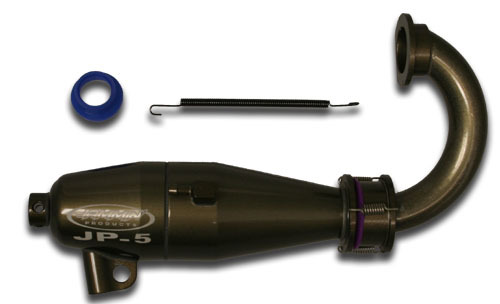 Now the JP-1 Pipe is available with a Hard Anodized finish Gives it a crisper sound and looks like new forever.